Taxus baccata – this can be kept trimmed down at around 40-45cm tall making an amazing low hedge. It also has the added benefit that there is an availability of yew in topiary shapes specifically balls, cones and pyramids. This means that yew can be the complete package for topiary and knot gardens. Ilex crenata Dark Green – this Japanese holly is a small leaved Readyhedgeevergreen that looks surprisingly similar to box. When it flushes with new growth it is not quite as uniform meaning that it requires more regular trimming to keep it looking its best. It also prefers a slightly acidic soil to perform at its peak and grow into the perfect Hedge plant for your landscaping project. 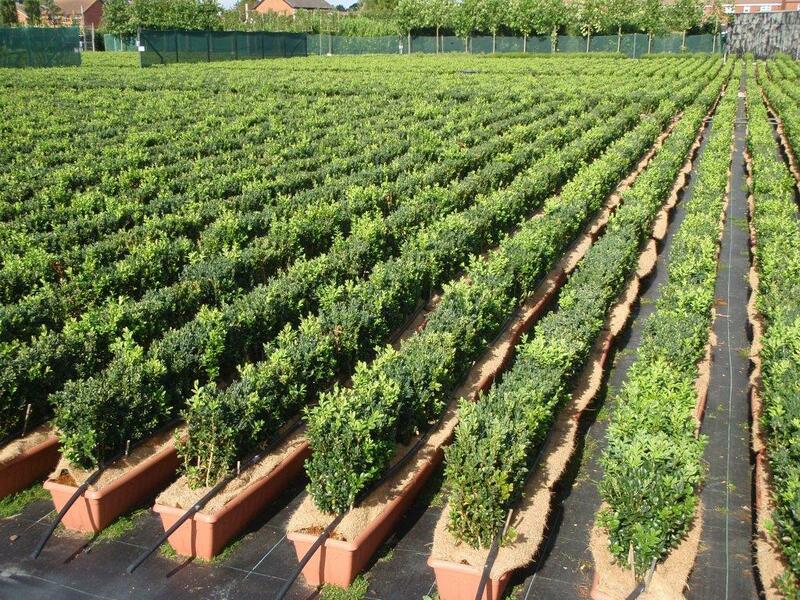 Ligustrum ovalifolium– straight green privet Instant Hedge, we have been trialling this to see if it can be kept trimmed closely to make a low instant hedge and so far, it is working at around the 50-60cm tall mark so is the perfect height. We have high hopes that after another year of trialling it we will be able to say that this while not an ultra-low hedge will still make a very acceptable instant low hedge. Lonicera nitida – shrubby honeysuckle is a lovely instant low hedge but it does require a regular trim to keep it looking at its best. Looking to the future we have some trial crops for instant low hedging including Nandina Domestica ‘Obsessed’, Pittosporum ‘Golf Ball’, Phillyrea angustifolia and Photinia ‘Little Red Robin’. While these trials are still at a young age so far they shown that all have the potential to be grown as low ready hedges in the future.